North Hills development firm Kane Realty Corp. has confirmed that health care technology company Allscripts will be moving its 1,000 employees in Raleigh to a new 12-story office tower planned at North Hills. Allscripts (Nasdaq: MDRX) will be relocating from The Forum office park in north Raleigh where it is leasing about 305,000 square feet. Triangle Business Journal had reported in April that a deal to relocate the company to a new building in North HIlls was pending. In the new 330,000-square-foot Midtown Plaza office building, Allscripts will be consolidating into about 250,000 square feet. 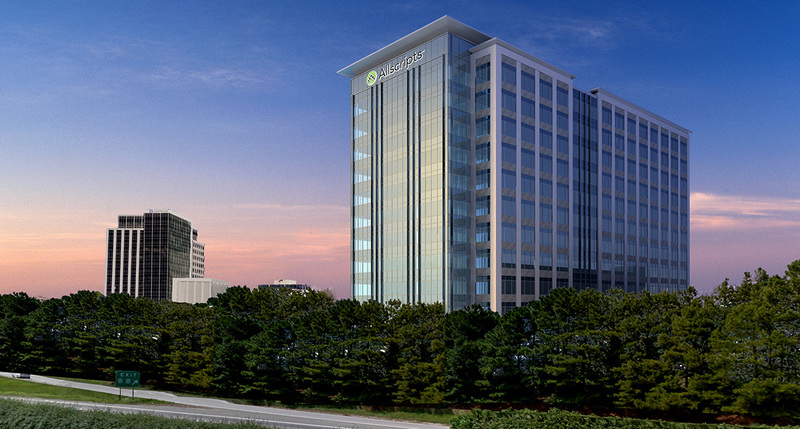 Allscripts will also have signage on the top floor of the new building with visibility from the I-440 Beltline. The new Midtown Plaza building is scheduled to open in spring 2017 at the corner of Cardinal at North Hills streets and Church at North Hills streets, near Midtown Park, Kane Realty reports. It will be the second office building to break ground at North Hills in the past year. Kane Realty is also constructing the 18-story Tower Two that is expected to open in spring 2016.